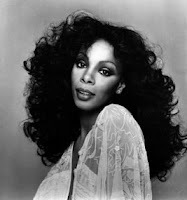 (CBS/AP) Disco queen Donna Summer has died, a family spokesperson told the Associated Press. She was 63. TMZ first reported the news, noting Summer had died in Florida on Thursday after a long battle with cancer. Insiders told TMZ she was recently working on music for a new album. "Love to Love You Baby" was her U.S. chart debut and the first of 19 No. 1 dance hits between 1975 and 2008 - second only to Madonna. During the disco era, she burned up the charts: She was the only artist to have three consecutive double-LPs hit No. 1, "Live and More," "Bad Girls" and "On the Radio." She was also the first female artist with four No. 1 singles in a 13-month period, according to the Rock Hall of Fame, where she was a nominee this year. Summer released a number of albums that have reached gold or platinum status, including the multiplatinum "Bad Girls" and "On the Radio, Volume I & II." Her No. 1 Billboard Hot 100 hits include "Hot Stuff" and "MacArthur Park." Summer also appeared in the 1978 film, "Thank God It's Friday," which took home the best original song Oscar for "Last Dance." The singer came to prominence just as disco was burgeoning, and came to define the era with a string of No. 1 hits and her beauty queen looks. But unlike some other stars of disco who faded as the music became less popular, she was able to grow beyond it and later segued to a pop-rock sound. She had one of her biggest hits in the 1980s with "She Works Hard For The Money," which became another anthem, this time for women's rights. Still, even as disco went out of fashion, she remained a fixture in dance clubs, endlessly sampled and remixed into contemporary dance hits. Summer's last album, "Crayons," came out in 2008. She also performed on "American Idol" that year with its top female contestants. In 2010, Summer appeared on "America's Got Talent." Publicist Michael Levine, president of Levine Communications Office, represented Summer in 2002. He told CBSNews.com, "She had more energy in her early '50s than most artists have in their '20s." Levine also said Summer was very passionate about religion, noting how she used to hold a weekly bible study class at her home during that time. He remembers Summer as "grateful" and "gracious." She always brought a gift when she visited the office, Levine said. Singer Dionne Warwick said in a statement that she was sad to lose a great performer and "dear friend." Summer married Brooklyn Dreams vocalist Sudano in 1980. She is survived by her husband, three daughters and four grandchildren.